Proud to be Nottingham's original and most popular quality self-catering accommodation, we offer rest and recuperation in an award-winning clean, safe, warm and friendly home-from-home environment… a place for budget-minded people just like you. Why Should The Igloo Be Your First Choice For Accommodation In Nottingham? Proud to be Nottingham's original and most popular quality self-catering accommodation, we offer rest and recuperation in an award-winning clean, safe, warm and friendly home-from-home environment… a place for budget-minded people just like you. Whether staying at our established Igloo Annexe & Igloo Pods building (100 Mansfield Road), or our Igloo Hybrid building (4-6 Eldon Chambers, Wheeler Gate, just off Market Square), you'll have plenty of history, personality, atmosphere, eco-touches, comforts and a wide range of adaptable room sizes to accommodate any arrangement you may need (for 2, just you, your mom, your friends, your whole family, or… your entire classroom). We are centrally located, independent, refreshingly different and passionate about value! STAY WITH US FOR 9 NIGHTS AND GET A REWARD! *Only available when booked directly through our website, at reception or by email/phone. Igloo Hybrid opened in July 2015 and is our 'hostel meets hotel' building located in the very heart of Nottingham's city centre (literally a minutes walk from Old Market Square). Here we offer private rooms, shared dorms and even some en-suite rooms, with a self-catering kitchen and communal lounge room, free WIFI & more… CLICK HERE to read more about Igloo Hybrid or click the button below to check our availability / rates and book online using our Booking Button. The much loved Igloo Annexe & Pods. Our original home before we opened Hybrid, and still enjoyed by our guests today. Located a 2 minute walk from the Victoria Bus Station and Victoria Centre, you'll find private and shared rooms, self-catering kitchen, free WIFI, 3 free parking spots + plenty of on-street parking options, & more… CLICK HERE to read more about 'this home away from home' or click the button below to book online using our Booking Button. As fun as it is to arrive in a new city and discover it for yourself... sometimes it's a little nicer when you get a few pointers. 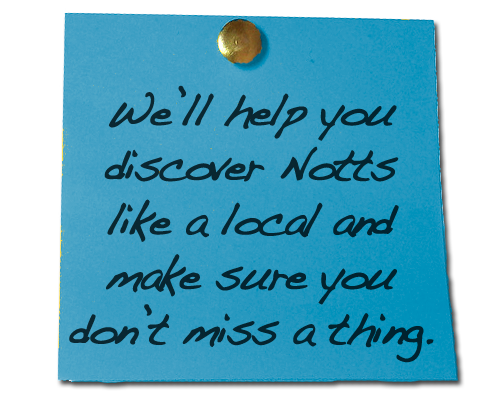 So not only will we help you plan for all the sights that everyone knows (you know... like that guy in those tight green tights), but we'll also help you find those hidden gems that make Nottingham such an amazing city to come and visit. We've been all around the world and try to make our guest's experience at Igloo Backpackers Hostel reflect the great times we have had when travelling ourselves. Our aim is to provide a friendly, environmentally aware atmosphere that continues to attract amazing people that we love meeting and spending time with.